With exclusive content by world-renowned health care economists, this is the premier right-of-center health policy blog on the Internet, where pro-free enterprise ideas are vetted by top analysts and experts across the ideological spectrum. Blog contributors include John R. Graham, Linda Gorman, Greg Scandlen and Ron Bachman. Who is to Blame for Out-of-Network Balance Billing? For nearly three decades, the NCPA has worked with the nation's top health policy scholars to solve our most intractable health policy problems. Our solutions empower patients, liberate doctors and encourage competition in the medical marketplace. More than 25 million families are using this NCPA idea to manage some of their own health care dollars. By allowing patients to control and manage their own health care dollars, consumer-directed health plans help individuals become more conscientious consumers of health care. This Congressional Brief details practical steps Congress can take to repeal Obamacare and replace it with an innovative, affordable, patient-centered health care system. Spending on health care and health insurance should receive the same tax treatment regardless of where it is purchased. A tax credit that was universally available, refundable, advanceable and risk-adjusted would allow any individual or family, regardless of income, to purchase the kind of health care they prefer and need. 16 recommendations for reform to increase flexibility in health plan design; for tax fairness regardless of where Americans get their health coverage; increase access to primary care by removing barriers to innovative medical practices and services; reform of hospital regulations to better serve patients; reduce costs through price transparency to boost competition and innovation in medical services and prescription drugs; strengthen Medicare, Medicaid and Veterans Health that better serve the needs of patients; and changes in the financing of medical care so that individuals have control over their health care dollars and the means to pay for medical care over their lifetimes. How does the U.S. system compare to the health system of other countries? 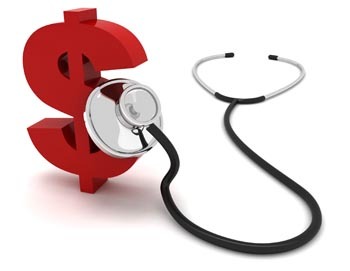 Contrary to what you may have heard, U.S. spending on health care isn’t a drag on the economy. NCPA scholars have produced a thorough review of the literature to complement our book, Lives at Risk.